These are hard times for honeybees; colonies are collapsing for reasons ranging from pesticides to parasites. And with this year's pitiful rainfall in California, bees are facing another plight: There’s a lot less natural forage to make honey. 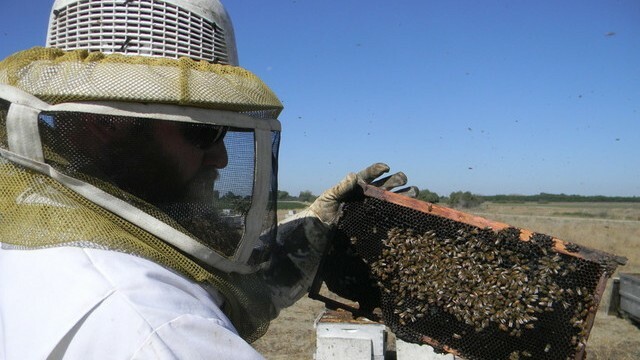 Second-generation beekeeper David Bradshaw pulls his truck up alongside wooden boxes of beehives on a farm outside the Central Valley town of Visalia. Soon, a loud mechanical sound – some would say a beekeeper’s buzz kill – drowns out the lively drone of bees. Bradshaw will spend about $80,000 on artificial nectar this summer just to keep his colonies from starving. In a normal year, Bradshaw takes his bees to hills laden with wildflowers. But this year, those hills are bone dry and they look barren. 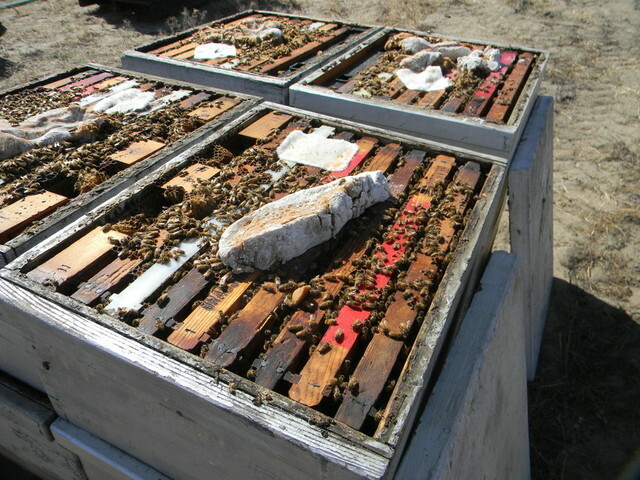 Plants are mostly dormant, and that means the natural nectar production line is shut down. When wildflowers do bloom, they make nectar from sugar and water. Bees use the nectar to make honey. But a drought means less water, less nectar and less honey. So Bradshaw is keeping his bees on the valley floor. In addition to the syrup, he’s feeding them a doughy protein supplement: soy flour, brewer’s yeast, vitamins and minerals. It’s good enough to keep the bees going, but it’s no substitute for the nectar used to make honey. That’s one reason Bradshaw sent 700 of his hives to Kansas, to feast on bee pastures there. “We just load them up on a semi truck and send them off,” he says. It’s like sending his kids off to summer camp. Bradshaw’s been keeping bees for 40 years. His 3,800 hives typically produce about 250 barrels of honey a year. In the past three years, because of the drought and lack of wildflower nectar, his bees have been producing one-tenth of that. His bees fed, Bradshaw gets back in his truck. 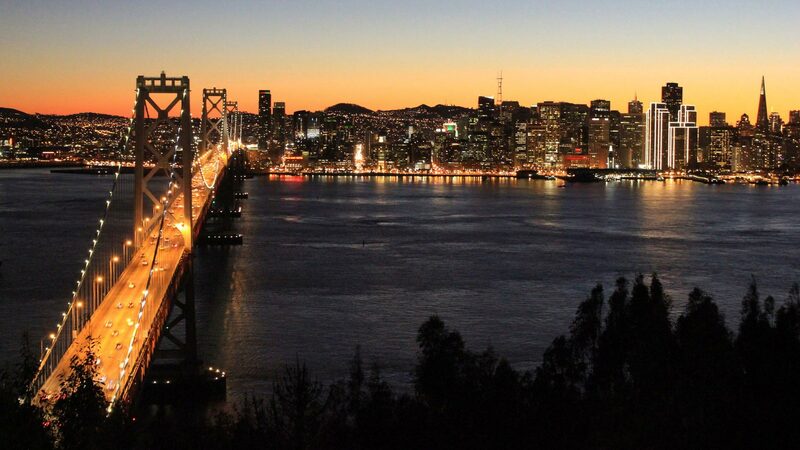 As he drives over a bridge spanning an empty riverbed, he says small packers from Santa Cruz to Ojai have called him begging for honey. Crops like alfalfa and cotton are less abundant this year because there’s not enough water to irrigate them. So beekeepers are leaning heavily on one crop: oranges. Beekeeper Steve Godlin watches the sticky orange blossom honey move slowly down a chute at his warehouse outside the little town of Exeter, not far from the Sierra foothills. 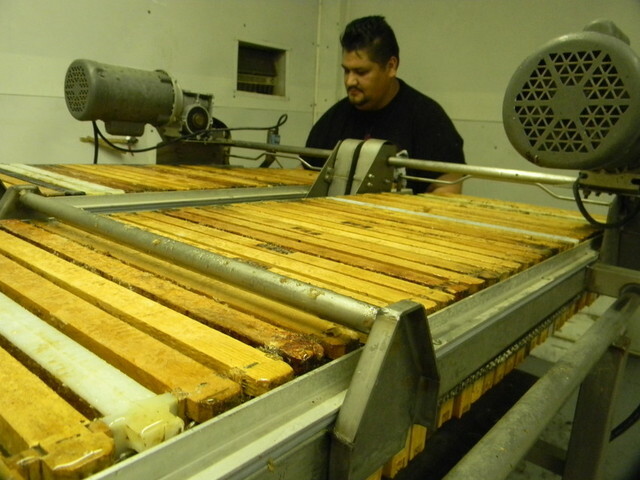 He points to the production line where the wax gets separated from the honey and the honey gets pumped down to a tank. “That’s where we fill the barrels,” he says. In wet years, Godlin runs his bees from the Coast Ranges to the Mojave Desert and he can make a million pounds of honey. This year he’ll produce half that much, and with less variety. “On those wet years, there’s sage, buckwheat, blue curl, tarweed, manzanita, a lot of different plants,” he says. On dry years, oranges are his best bet. But oranges are a crowded field. Beekeepers come from all over the country to plant their hives amid the sweet-smelling orchards. 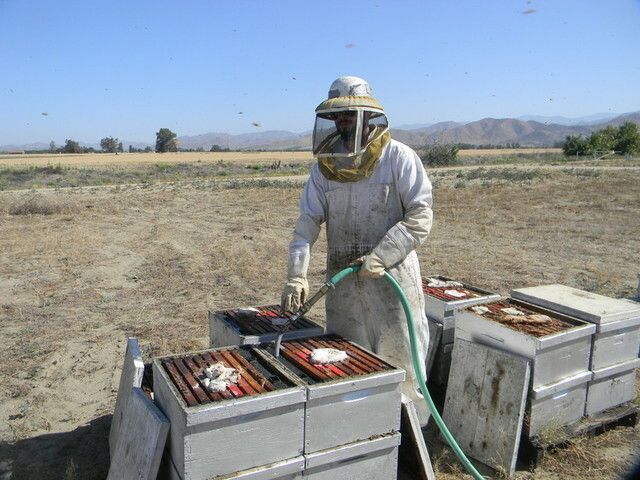 Gene Brandi, vice president of the American Beekeeping Federation, says California is typically a major honey-producing state. Honey production in the state varies considerably from year to year, but in a drought year it typically gets cut by about half. This year, Brandi says, it might be worse. Meanwhile wholesale honey prices are the highest Brandi has ever seen, averaging $2 a pound. That’s great for beekeepers, he says, if only they had more to sell.